Justine Nkurunziza is an extraordinary woman. In her native Burundi, she was a human rights defender, especially for the rights of women and children. She also worked for Action Aid International in Burundi, before coming to Ottawa as a refugee in 2016. Justine has always had a driving passion to help others. “When I arrived in Ottawa as a senior citizen, I found it was difficult to integrate,” she explains. As she searches for a job and employment training, Justine keeps herself very busy as the leader of a network of Burundian newcomers. Justine formed a What’s App group with 252 members from the Burundian community living in the national capital region. Through her WhatsApp group, she exchanges information about settlement services, child care and public transit, along with news stories of interest to the Burundian community. The group also serves as a donation channel for newcomers to donate items which are then distributed to group members according to their need. The group communicates in both French and Kirundi. “Those of us who are BBC (born before computers), really need this type of support,” chuckles Justine. “Justine Nkurunziza is awesome,” says Justine Semonde, who arrived in Ottawa from Burundi in 2008. 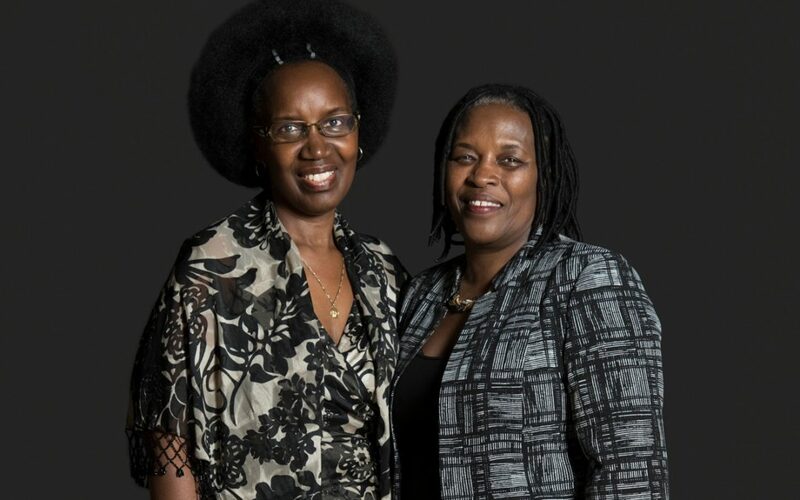 The two Justines had previously known each other in Burundi and met at their local church. “When I told her I was looking for a job, she immediately wanted to help me. She added me the WhatsApp group. “She is sort of like a mother to all the group members. We rely on the crucial information in her WhatsApp group, everything from where to get a used TV, child’s car seat or microwave, to how to find a job in Canada. “Thanks to Justine, I’m now connected to the Conseil Économique et Social d’Ottawa Carleton and the Vanier Community Service Centre Vanier, two organizations that are helping me with my job search,” explains Justine Semonde. “Justine is especially helpful to newcomers who have little or no information about life in Canada,” adds Justine Semonde.